The measure of a leader in fluid application systems is how well it can adapt to out-of-the-ordinary requests. And for us, the unusual is usual. 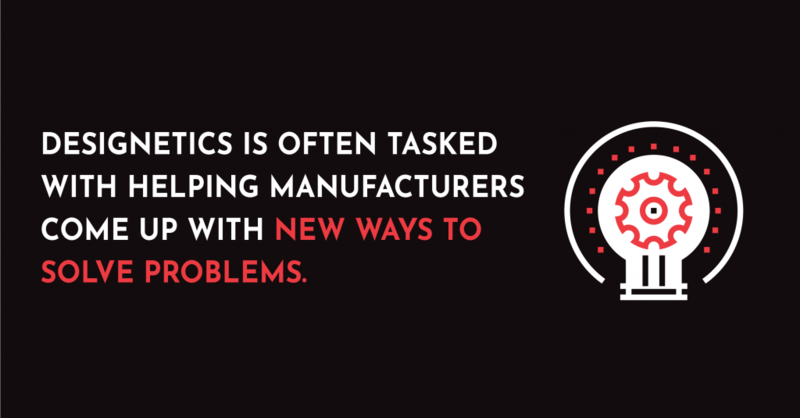 That’s because, as the preeminent provider of fluid application solutions, Designetics is often tasked with helping manufacturers come up with new ways to solve problems. And, along the way, we get pretty unusual requests, which require pretty unusual solutions. We are used to creating new products and sourcing specific materials to accommodate a manufacturer’s fluid flow requirements. Along the way, we’ve created a product line that consists of thousands of options—and we are still designing and prototyping new options weekly. Unusual requests also come from different industries. For example, we created a semi-automated way for the aerospace industry to apply corrosion-inhibiting paint to fasteners on aircraft, creating the world’s first portable pumping system for them, as well as a line of applicators designed specifically to the size and shape of the fasteners. It all stems from attitude: an attitude of curiosity and can-do spirit; an attitude that looks to potential and avoids a cookie-cutter approach to solving problems. That, in turn, makes tackling the unusual a usual part of our business.